Chamomile (Matricaria recutita L.) is a plant which has been reported to be effective in treating several parasitic and digestive diseases. The present study was conducted to evaluate the anthelmintic activity of chamomile methanolic extract (CME). In vitro, the anthelmintic activities of CME were investigated on the L3 larvae of Heligmosomoides polygyrus in comparison to albendazole. In vivo, Swiss albino mice were infected with infective third (L3) larval stage of H. polygyrus by intragastric administration. Moreover, the effect of CME and albendazole on worm eggs, adult worms, serum cytokine production, and oxidative stress was studied. All used doses of CME showed a potent anthelmintic activity both in vitro and in vivo and the effect being similar to treatment with albendazole. Moreover, H. polygyrus infestation was accompanied by an intestinal oxidative stress status characterized by an increased lipoperoxidation, a depletion of antioxidant enzyme activity, as well as an overload of hydrogen peroxide. We have also recorded an increase of pro-inflammatory mediator (TNF-α, IL-6, and IL-1β) levels after treatment with CME (14 ± 0.8; 41 ± 2; 58 ± 4 pg/mg protein, respectively, with the concentration 800 mg/kg, body weight) when compared with infected control mice (20 ± 1; 59 ± 2, and 83 ± 4 pg/mg protein, respectively). However, extract treatment alleviated all the deleterious effects associated with H. polygyrus infection. These findings suggest that CME can be used in the control of gastrointestinal helminthiasis and associated oxidative stress. 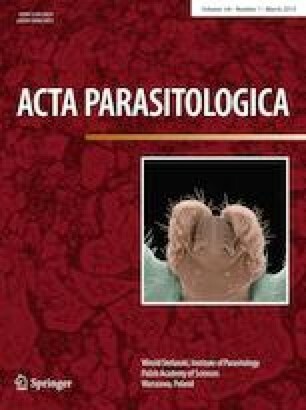 The authors would like to thank all members of “Laboratoire d’Epidémiologie d’Infections Enzootiques des Herbivores en Tunisie” (Ministère de l’enseignement supérieur, Tunisia) and all members of Laboratory of Functional Physiology and Valorization of Bioresources, “Higher Institute of Biotechnology of Beja” Beja-Tunisia for assistance and helpful discussion. Financial support of the Tunisian Ministry of Higher Education and Scientific Research is gratefully acknowledged. All procedures on animals in this study compiled with the NIH recommendations for the use and care of animals.